Design your own personalised custom wooden signs or plaques for both indoor and outdoor use. Hourigan Designs are Australia’s premier wood design workshop specialising in custom wooden signs. 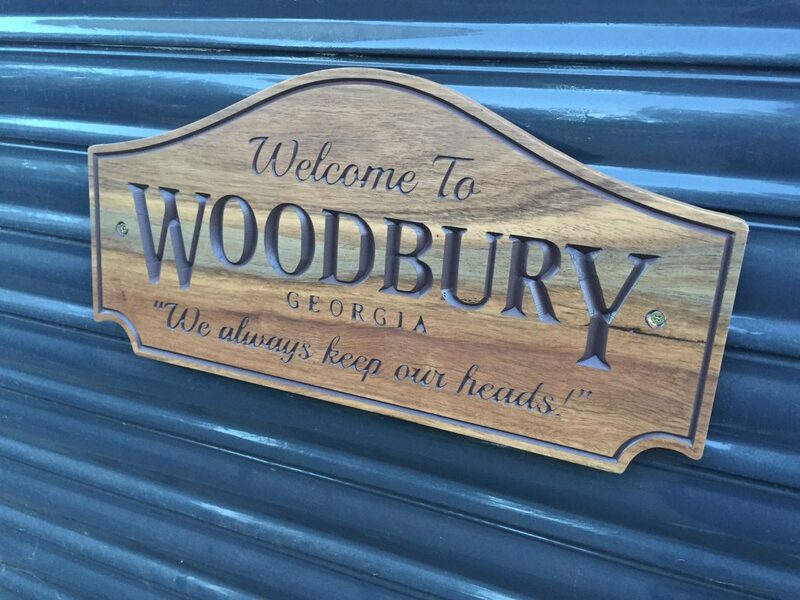 Over the past 6 years we have designed and crafted thousands of personalised wooden signs, house name signs, commemorative plaques, commercial signs and other custom made timber/wooden signs. Our goal is to offer our clients a unique combination of traditional craftsmanship, creative design, and good old-fashioned customer service. Not only are our wooden signs great value, but also fully customisable to your needs. Your choices include but are not limited to: High quality timbers, custom engraving as well as a variety of sign and plaque shapes and dimensions, colours, fonts and images. 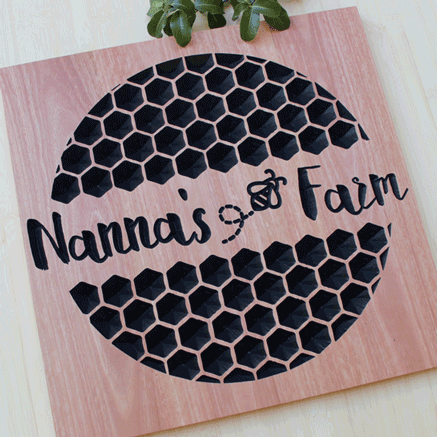 Our personalised artistic timber signs start from $39. House names, letter box numbers, motivational quotes, novelty pieces, custom wooden name signs – the design options are endless. Don’t buy off-the-shelf from hardware stores, design yours today! 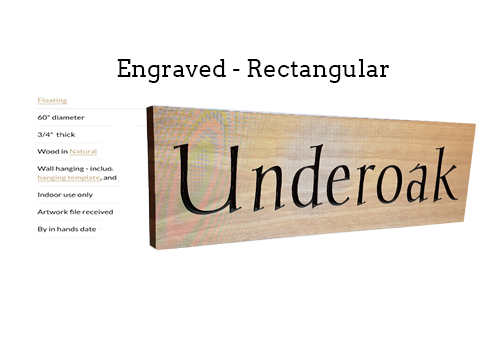 Custom engraved signs with a huge range of engraving choices. Engrave your choice of pictures, text, numbers and symbols from our library, or bring your own. 100% handmade signs, designed for you here in Australia. Each item is uniquely crafted for your needs and no two signs will be the same. 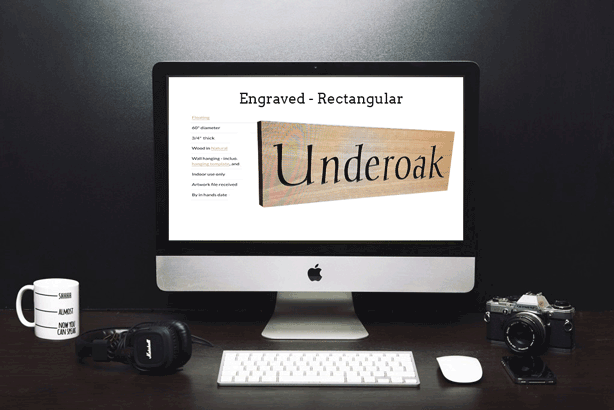 Creating your own custom design sign is easier than ever with our online design form. Just follow the easy steps and receive a free mockup of your design prior to purchase. High quality service and craftsmanship is a part of our DNA. We want to make it as easy for you as possible to get the sign you are looking for. We do this by offering a top notch design form which makes it easy for you to visualise your perfect sign and select your choices. From there we will send you a mock up of your sign completely free of charge. If you go ahead we will post your sign anywhere in Australia with included care instructions. If at any stage you are unsure you can either call or email us for free advice and to answer any questions you may have. We pride ourselves on our craftsmanship and enjoy the opportunity to create something original and unique that our clients will love for many years in the future. Not only is each sign unique, but so too are the people that will enjoy our signs and the locations and purposes for which they are displayed. We want to understand how you will use your sign so that we can put that extra special touch into the finished product. To share you signs with us use #Hourigandesigns on Instagram, twitter or Facebook. A custom design wins every time! Every sign is unique and presents its own challenge. After 6 years and thousands of personalised signs later, we are still learning new skills and techniques. These are just a few of the most common options that we are asked for. Feel free to give us a challenge and ask for something completely new – we will not let you down! Custom cut timber letters, numbers and shapes are used for a wide range of applications. 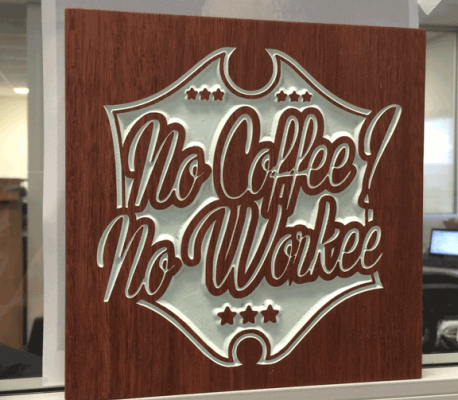 Used in some of our sign designs to achieve a raised or floating look, they are also popular as a standalone products used for: quotes, sayings, wall art, Mr and Mrs signs and cake toppers and even commercial signage. We employ a range of different engraving techniques to achieve different looks. We can engrave your sign with intricate patterns, pictures and designs, or give it more of a rustic look. Whatever your style we have the tools to create the look you are after. Round signs, square signs or signs with unique shapes, we can cut your sign into exactly the shape you require. Depending on the style, we also have a range of edges and finishes to match. Everything from a jagged edge to give your sign a rustic look, to an ornamental edge for more serious signs like award plaques and everything in between. As timber artisans we are somewhat timber nerds. We care about using the right timber for the right job. 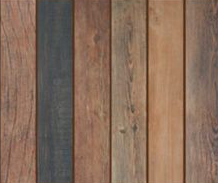 Having the right combination of timber, finish and colours makes a huge difference to the final product so be sure to reach out and ask for advice if you are not 100% sure. We have a huge range of the typefaces and fonts available, from the comedic huxtable to the classic western. We also have a range of images ready to be engraved on your sign. If you already have a font or image in mind, just send it through with your design form and we will include them in your design. All our signs are hand painted and finished with your choice of colour. If your sign is intended for outdoor use we will add extra layers to protect it from the harsh Australian elements. Our signs are made to last and be enjoyed for a very long time. Custom artistic timber signs starting from $39.